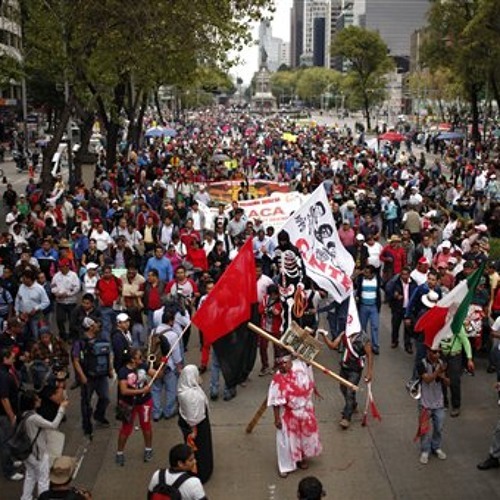 Mexican lawmakers signed off on legislation aimed at overhauling many parts of Mexico’s education system earlier this week as protesting teachers filled some areas of Mexico City. The new reforms, pushed by President Enrique Peña Nieto, would change the way teachers are hired and evaluated, among other things.The measures are designed to help reclaim a system that many say is corrupt, but the country’s second largest teachers union says it will keep protesting. John Ackerman is a law professor at the National Autonomous University of Mexico and a columnist with La Jornada newspaper and Proceso weekly. He joins us from Mexico to explain what the new reforms entail and what’s ahead for teachers. (Photo: AP Images).